Roasted Baby Eggplant Topped with Honeyed Walnuts – Olive For Greens. Eggplant is one of my new favorite recipes. One day, while at a local produce store, I was looking for eggplant and came across baby eggplant! I was so excited that I grabbed 2 bags. I got home and immediately created this recipe. 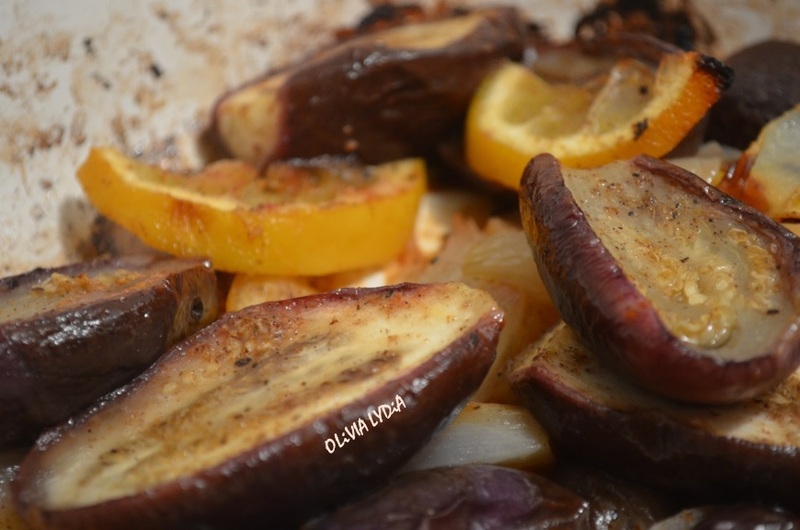 A large eggplant can be used in place of the baby eggplant, just cute it into large chunks (with the skin). This recipe has a unique blend of spices that gives this a sweet and savory flavor (but more on the savory side). 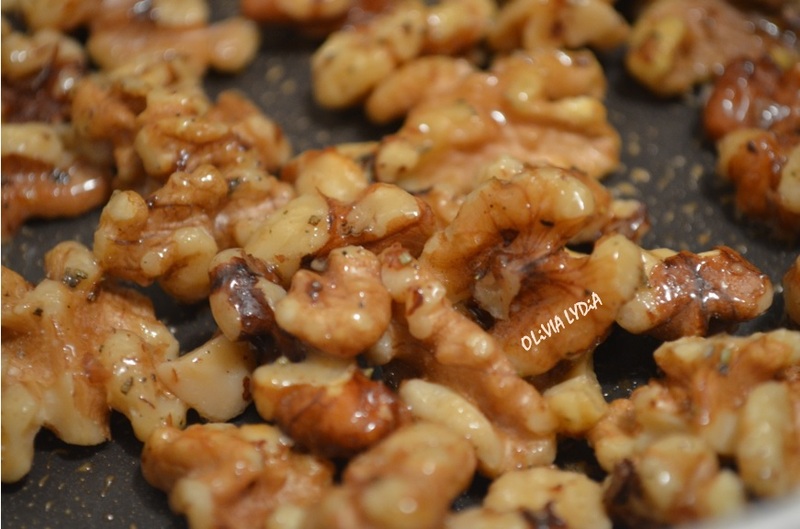 It pairs so well with the honeyed walnuts! 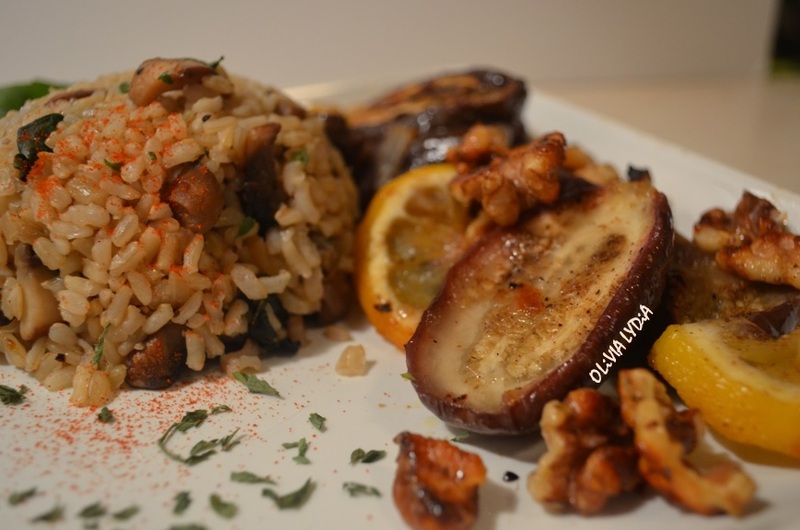 I ate the baby eggplant with my Basil-Baby Bella Brown Rice recipe and a salad. I hope you enjoy! Preheat the oven to 450 degree Fahrenheit. Meanwhile, slice the half. Slice one of the halves into rounds then moons. Reserve the other lemon half until step 3. 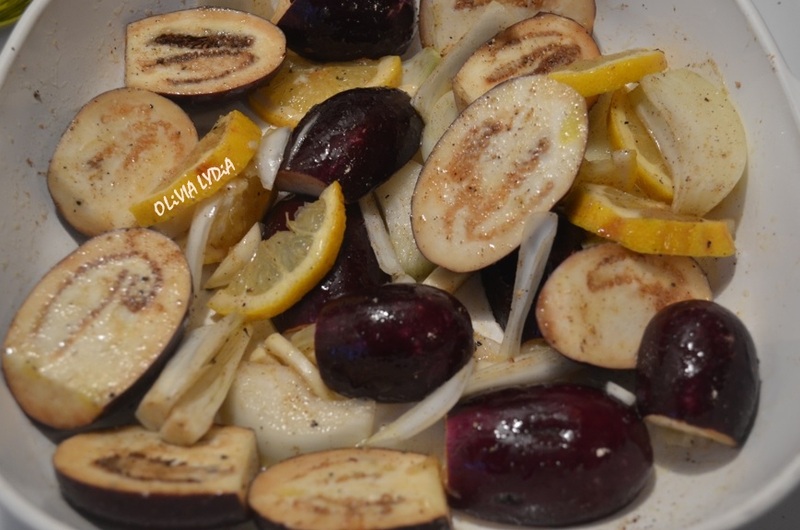 In a glass dish (about 2-inches high) place the eggplant, garlic, onions and lemon slices. Squeeze the juice of the remaining lemon over the veggies in the dish. Now sprinkle the gram masala, salt, pepper and olive oil. Toss and cover with aluminum. Bake for 35 minutes. Uncover bake for 5 more minutes. Combine all ingredients in a small pan. Caramelize and turn off flame. Cooks in about 5-10 minutes. Serve with plain brown rice or try my Basil-Baby Bella Brown Rice recipe (picture below)!